There is always a time when you start questioning the pieces you have been accumulating in your wardrobe, wondering if you are going to wear this or that, if you are looking dumb in this or that. You begin to question everything if you are too old to wear colourful clothes or way too young to be attractive by grown up classy style. 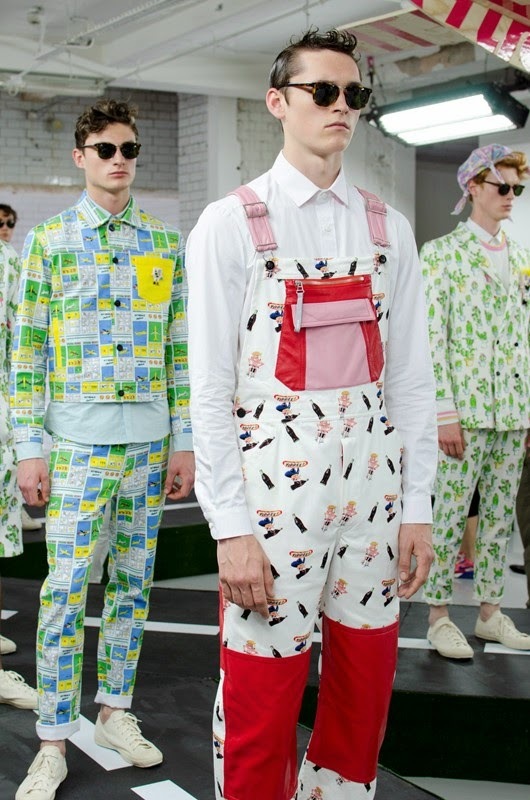 It comes a time when you start making list of designers or brands suitable according to your age. Some people believe that after a certain age you can't go on dressing in agressive/noticeable outfits, opting for only two colours (black and white for instance) or they are devoting themselves to several designers for the rest of their lives. We are not ashamed of revealing to you that we have already thought of this kind of aesthetical statement (not at all superficial). 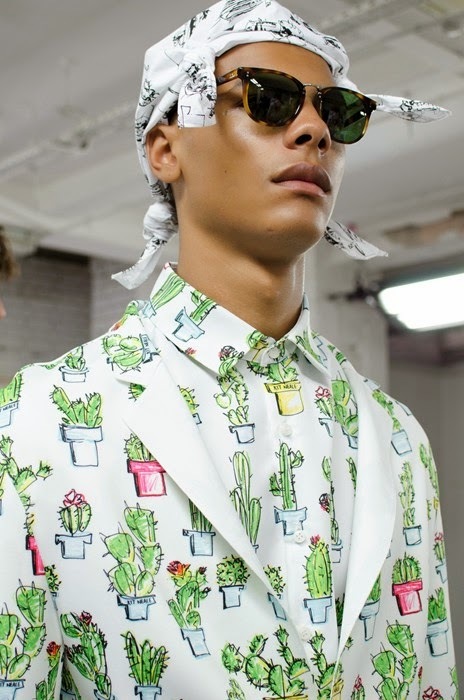 White and black would be the authorized colours for us and we would be completely faithful to Comme Des Garçons if it wasn't a mere question of money. But at the end of the day, age is not really relevant and it's stupid to take it into account. The expression of your uniqueness and personality is always prevailing. 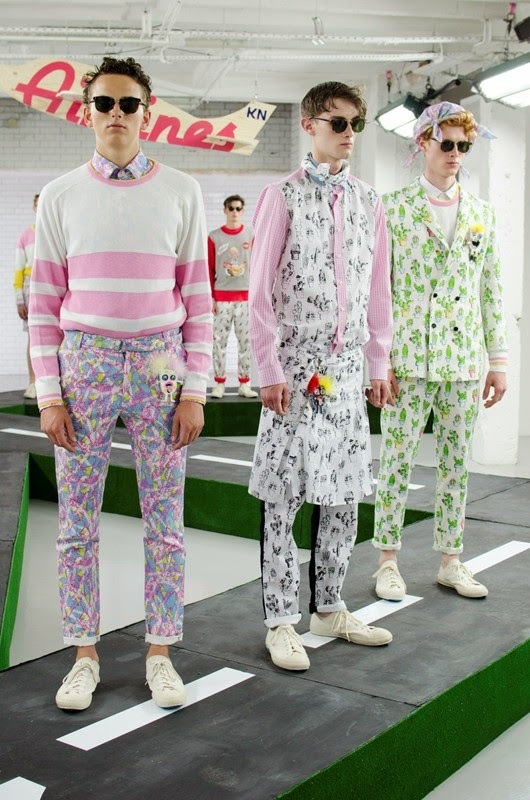 Kit Neale's playfulness and humourous SS15 collection was one of our LCM highlights, with his definitely "age is nothing but a number" pieces we want to wear. This time it was not a London tale inspiration, but a trip to a foreign destination (United States?) on his own airline company. It was like a celebration of holidays and the clothes he presented were those you'd love to put in your suitcase. 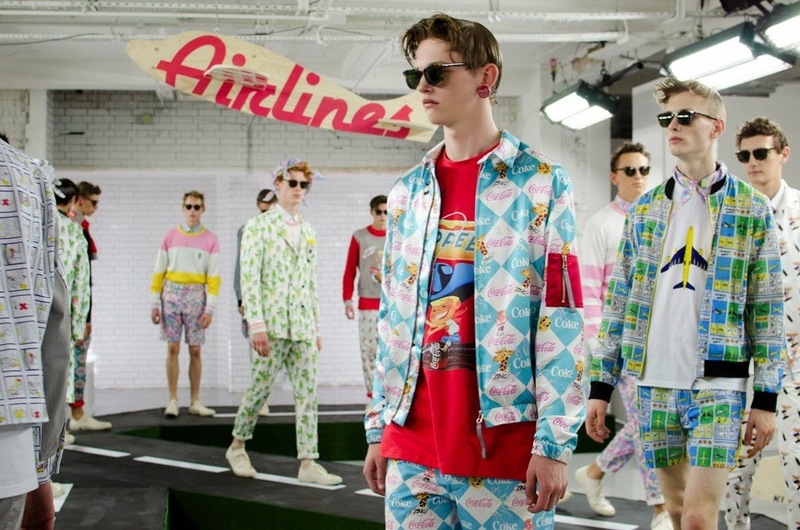 Childish illustrations and digital prints of airplanes, cactus in flower pots, boarding pass, coca-cola logo, giraffes, postcards are to embellish these vibrant clothes. 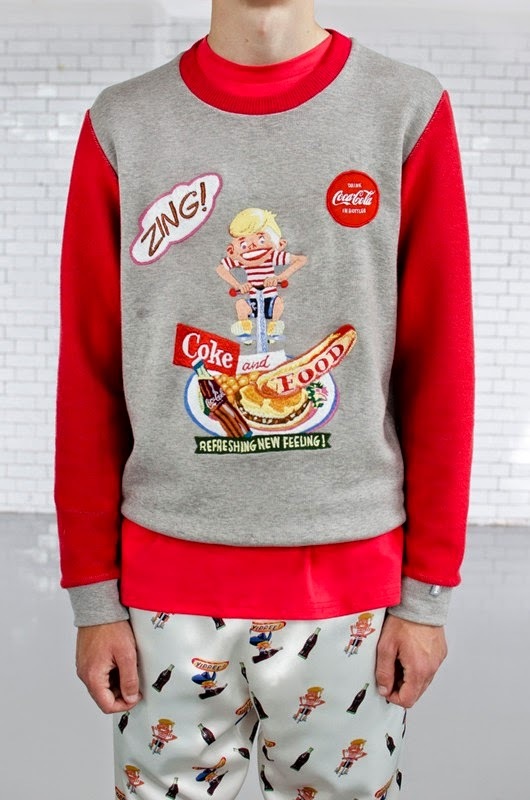 The 'zingboy' is the new funny little character created by Kit Neale, representing the new SS15 logo embroidered on a coca-cola sweater and on a t-shirt. 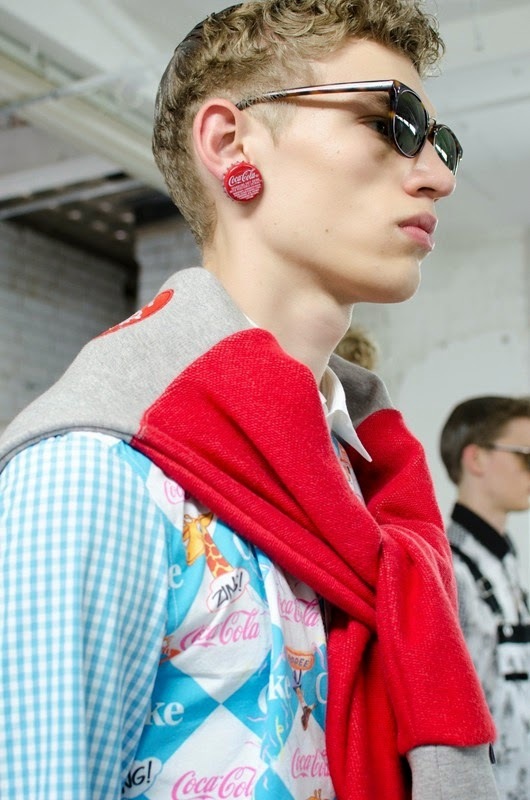 There are other signatures pieces such as the patchwork of gingham and illustration printed shirts, the printed denim jackets and the tailored printed suits which all are re-edited. 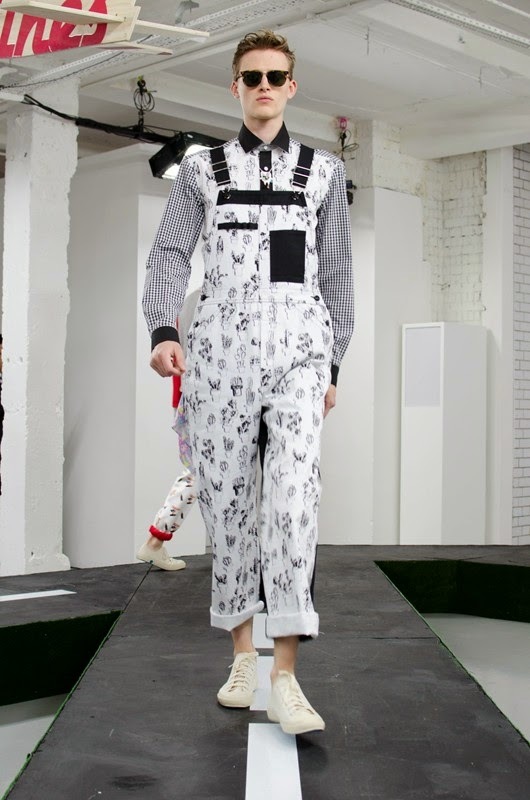 More than updating his trademarks, he added 90's vibes dungarees which would certainly ravish boys and girls with no inhibitions. The perspex 'little monsters" by Tatty Devine which are a keyring collaboration is another way to express your eccentricity. 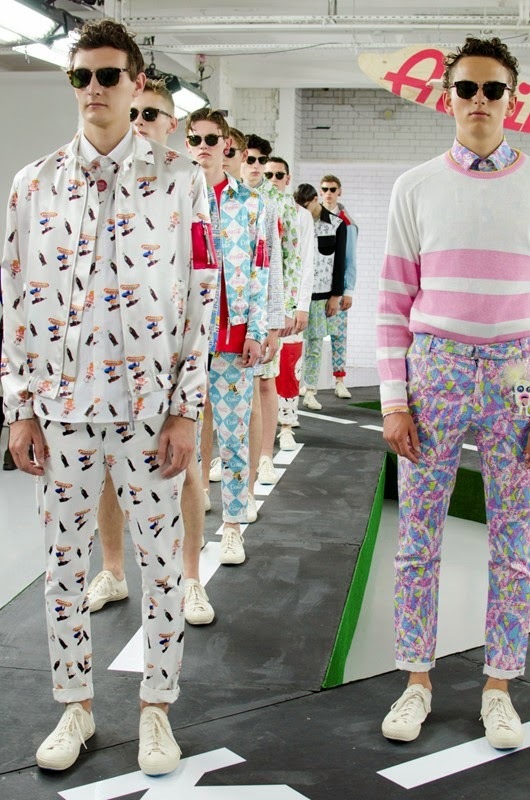 Kit Neale should be add on your list of designers you want to wear no matter your age. 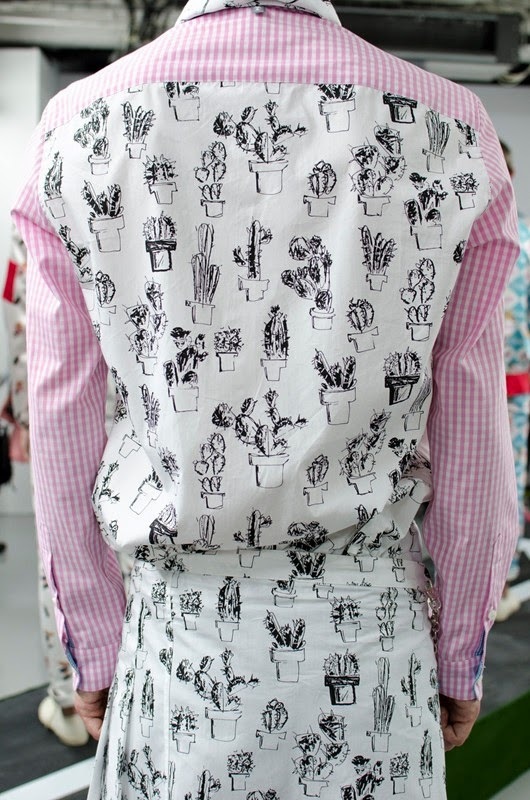 Life is too short to wear boring clothes, isn't it? !